Fantasizing about a dream home is normal. I mean, it isn’t called a dream home for nothing. Letting your mind wander as you imagine your deck configurations or exactly how that spiral staircase will work in the kitchen is part of the fun of building a new house or doing any home renovations. Of course, fantasy is one thing. Translating those big dreams into nitty-gritty reality is something else. If you’re mulling over plans for a new home, major home modifications, or just like putting together crazy layout ideas, the Ultimate Home Improvement Software Bundle ($19.99, 81 percent off from TNW Deals) is an amazing way to visualize nearly any architectural project. This package of three programs will walk you through the creation of 2D, 3D, and cross-section views of projects ranging from room redecorating to complete home renovations to full-on construction from the ground up. 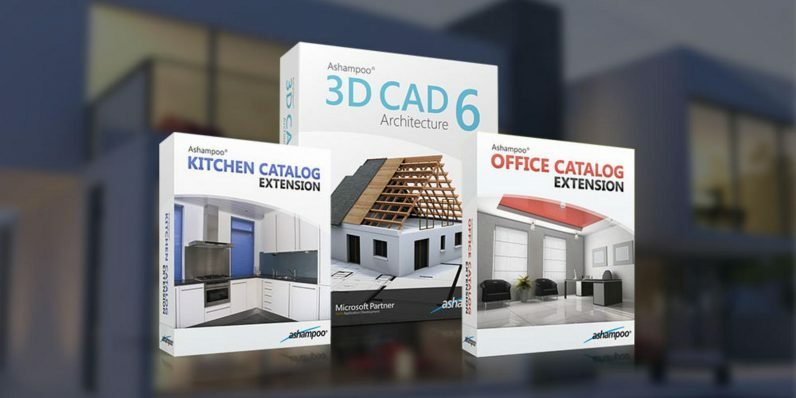 Your tools start with Ashampoo 3D CAD Architecture 6, a virtual digital canvass to help you realize real-world construction issues before they become real-world problems. With CAD 6, you can create full layout designs for any home or commercial building in 2D or 3D, including blueprints, renderings, and more. And CAD 6 goes way beyond simple walls, ceilings, windows and doors. You can lay in the building’s electrical grid to determine your power needs or check its ultimate green efficiency. Once you’re finished with all your customization, you’ll have a complete virtual simulation of your project to help bring your vision to life in minute detail. However, we know certain parts of a house require a little more attention than others. With Ashampoo Office Catalog Extension and Ashampoo Kitchen Catalog Extension, users can dive even deeper into those two key spaces, examining the space, inserting furniture and other fixtures, assessing your entire environment from lighting needs down to the color scheme. A $110 value, you can get Ashampoo CAD 6 and the two extension packs right now for more than 80 percent off their retail price. They’re all just $19.99 while this limited time offer lasts.